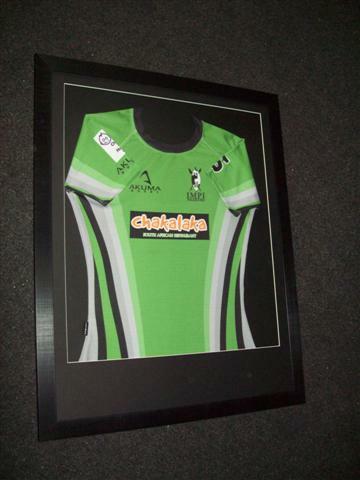 Our 'click & collect' professional football rugby T shirt and sports shirt framing is a simple way for customers who do not live in Blackpool to order professional shirt framing at discounted prices. The extra discount over our already extra discounted shirt framing pricing is our contribution to your costs to travel to our store from out of town! 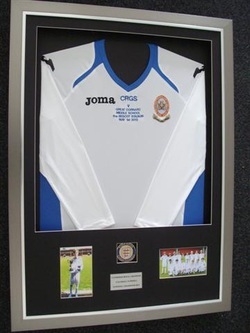 Simply decide which of our shirt framing offers suit you best and follow the instructions at the bottom of the page. 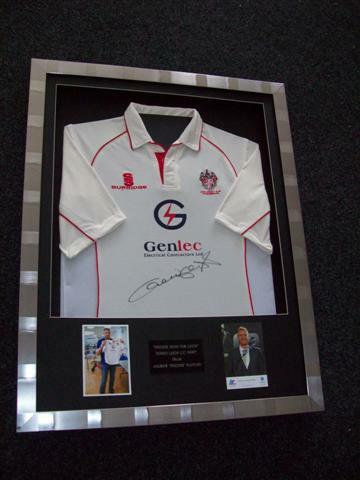 Contact us today via email quoting relevant promo code, letting us know your exact requirements, we shall respond via email, then you simply send your shirts to us to be framed, or bring your shirts into store in person, then collect from our frame workshop in Blackpool once complete. You have 3 payment options and ordering your shirt framing this way means you will save even more. Brilliant! Your £75-00 investment allows you to have a single shirt professionally framed on its own in a plain black frame, with your choice of colour for front surround mount if required and rear background mount. 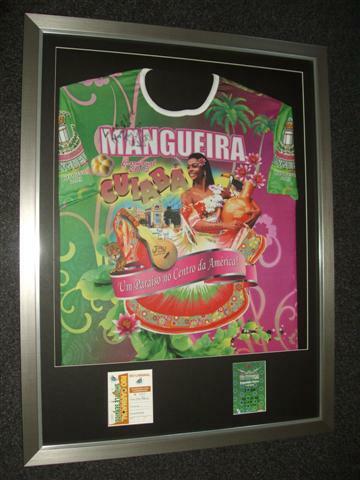 Your £85-00 investment allows you to have a single shirt professionally framed in a silver frame with choice of colours for front surround mount if required and rear background mount. 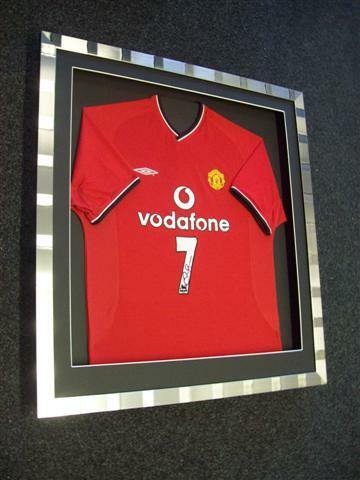 Your £95-00 investment allows you to have a single shirt professionally framed in a black or silver frame, along with choice of colour for front surround mount and rear background mount. 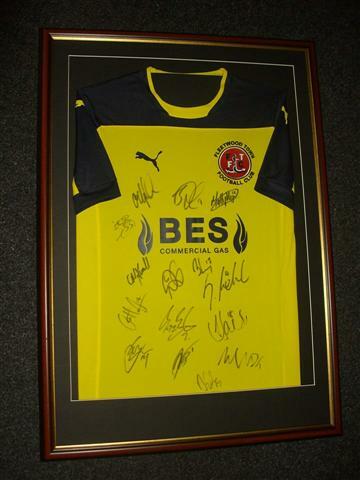 You may also include a silver or gold metal engraved plaque (supplied by us) or include any extras you may have that you wish to have framed with your shirt, such as your team photo, COA, ticket stub etc (up to a maximum of 4 reasonably sized items). 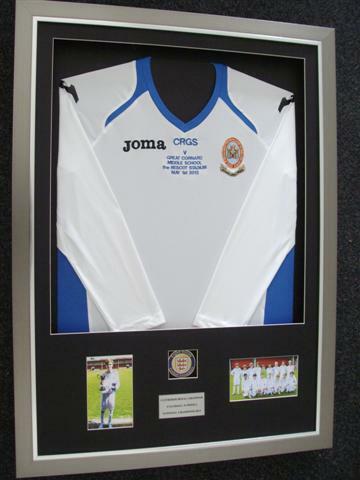 If you would like a plaque to be included with your framed shirt please advise wording. 2. We shall reply and confirm,answering any questions you may have. You have 3 options regarding payment. By post - You may wish to pay by cheque, postal order or Bankers Draft, so please enclose this when sending your shirt. In person - You may pay cash on collection in our store. We do not accept credit or debit cards. Online - You may pay via Faster Payments (FPI) online whereby you pay online direct from your bank to ours. 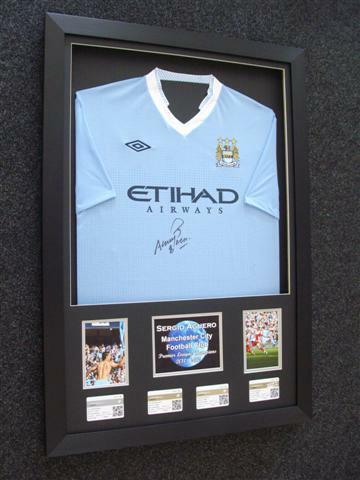 Once we receive your shirt for framing we shall contact you and provide our details to you to enable you to make a direct online payment. FPI is a safe and secure payment service provided by all major banks, whereby you simply login to your online banking session and click 'pay someone new'. 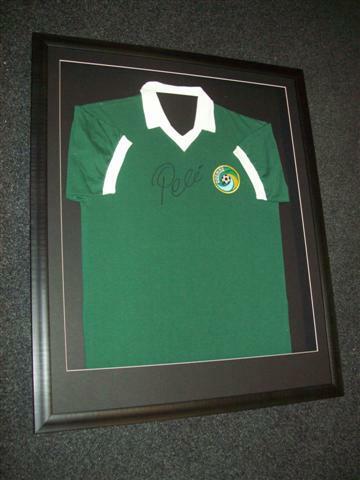 *No goods will be released until we are in receipt of full payment.This further discounted shirt framing offer is only available online when you email quoting promo code prior to ordering, pay online via Faster Payments or cheque by post & collect once framed. Offer available to customers from out of town, providing proof a non Blackpool postal address. Extra discount is our way of contributing to your travel costs coming to us.